Boulder Opals are like rainbows preserved 60 million years ago. 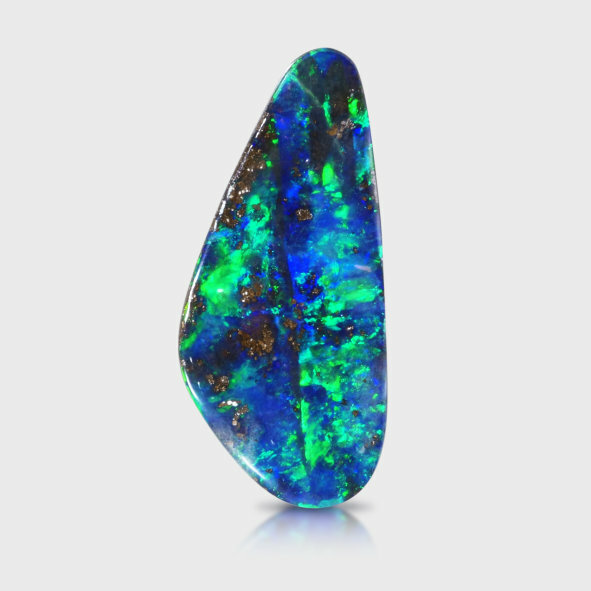 One of the few precious stones cut with the host rock as part of the gem, Boulder Opal is one of nature's most remarkable gems. Boulder Opal is mined in Queensland, Australia. Each piece is hand cut and polished. Because of the colors, free-form shapes and patterns in the opal, each jewelry design is unique. Boulder Opal is a very personal gemstone. Each piece has its own individual character, just like people. With all of the colors of the rainbow, Boulder Opal can be worn with any fashion attire.